Small business does not mean small work. Quite the contrary, owning a business is a large responsibility that requires big work. HUGE. Over the last few years of molding, curating, and cultivating my business, there are a few many office supplies I've come to rely on to help me keep my business organized at its most optimal capacity. And to be honest, these supplies imbue me a certain sense of happiness because...well...they're pretty! And I don't know about you but surrounding myself with pretty and practical things tend to fuel my productivity and creativity. Today, I'm sharing with you my few many office must-haves that are well worth the real estate on your desk, coffee table, bed, or where ever the hell it is that you spend most of your time slaying. 1) Daily Planner: Light a candle, sip on your hot coffee, sway to your favorite jams as you fill out the daily planner on the daily. Does anything sound better than this or am I just a freak? I decided to give this one from Design Aglow a go this year and so far I'm loving it for keeping my personal life and my business life together for me. 2) Personalized Notepads: There's something about jotting down notes on a perfectly personalized notepad. I love pulling out this pretty thing when I'm in a in-person client meeting especially when you know they'll see and appreciate it too. This one is from CurioPress on Etsy. 3) Bulk of White Jetstream Pens: Anyone else obsess over a good pen? Growing up, I used to collect Japanese brand pens--jelly rolls pens, glitter pens, highlighter pens, etc. Typical Asian, right? My favorite by far, and one I've stuck to over the last 6 years are these Jetstream 0.5mm pens in white (and they have to be 0.5mm...no more no less). They are AH-mazing. I always buy them in bulk and have them sitting pretty and sleek in the pencil holder. 4. Personalized USB: On top of providing my wedding photography clients with an online gallery to view their wedding photos, I also include a customized USB that honors and provides the physical space to store their memories. I order each USB with my logo in order to enhance my branding position. I absolutely love my logo engraved on these pretty and flashy glass USBs from Design Aglow but recently, USB Memory Direct sent me some pretty wooden ones that I feel really align with my brand while being affordable. 5) UV Protection Glasses: You've probably heard me talk about these spectacular spectacles before and that's because I adore these from EyeBuyDirect. They aren't prescription but I promise...other than making me look cuter and smarter they do serve a more practical purpose. These glasses in particular protect your eyes from harmful UV light and reduce the glare from your computer screen. 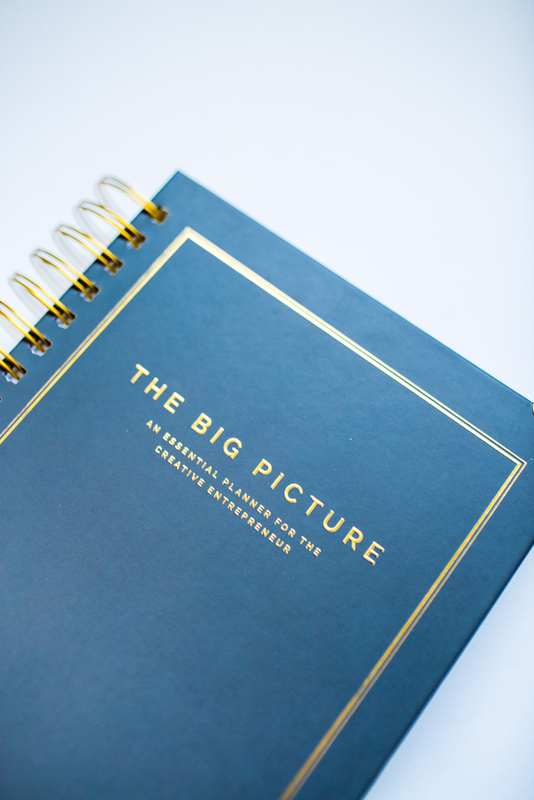 Perfect for entrepreneurs and bloggers who spend most of their time in front of a computer. 6) Personalized Stamp: I got this stamp with my logo when I first started my business and I would logo-fy eh-ver-ee-thing. And I mean, everything. It made me feel so legit and you know what? It still does. I mostly use it for the packages I deliver to my clients. I got this one in particular for a great price from Remarkable Stamps via Etsy. 7) Well Kept Cleaner: I got one of these as a party favor when I attended a social networking event and I have to say...this made the party SO worth it. Us entrepreneurs and bloggers spend A LOT of time on our phones and I don't even want to know the kind of nasty that piles on our screen, nooks and crannies of the damn thing. I haven't stopped using these Well Kept Cleaner wipes since I got them. 8) Business Cards: Other than yourself, this might be the first visual representation of your brand when you're given an opportunity to network in the non-virtual world. And yes, I do get that we're in this new digital age where we exchange information by typing in our phones mid-conversation and straying away from eye contact but is it just me or does that seem a bit unprofessional? These is something so personal and connecting about exchanging contact information via a business card that you poured all your creative spirits in to all while maintaining that eye contact. I've tried other companies but my go-to and favorite by far are these cards from Moo.